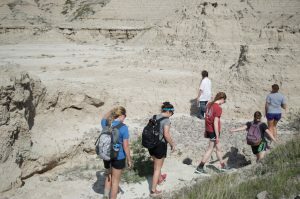 One of the unique academic experiences that Hope College offers students is to study over the summer months through May, June and July terms. For many Hope students, this is a chance to travel or spend some more time in lovely Holland and build a deeper community with the members of one class. 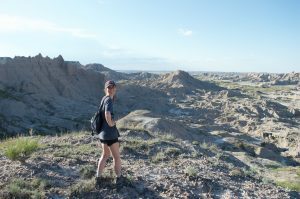 In May 2016, myself, a group of Hope women and an extraordinary Religion professor packed into a twelve-passenger van and drove off into the Badlands of South Dakota. Our goal was to engage and learn about the Oglala Lakota Tribe on Pine Ridge Reservation. As the professor mapped out the ride, we took turns sleeping and passing snacks as we anticipated the adventure ahead. What would the third poorest county in the country look like? What work would we be doing to help a culture with such a long history of oppression? What would the Natives think of such a strange group of Midwestern college students walking through their shops and communities? 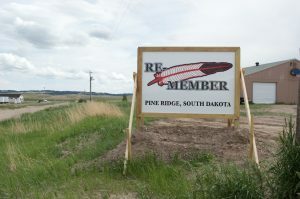 Our housing for the trip was offered by a nonprofit organization working with the Oglala Lakota tribe called Remember. The organization focuses on helping members of the community by building outhouses, skirting trailers, gardening and other hands-on immediate needs and relief. 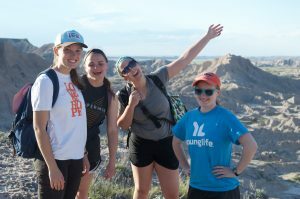 Meanwhile, as students, church groups, and other volunteers offer their time and skills Remember educates visitors about the tribe’s troubling past, but more importantly their rich culture. They also employ members of the tribal community to speak in the evenings and share their stories with guests. I loved meeting the speakers and hearing their experiences. One such speaker at Remember has had a relationship with our professor for years. 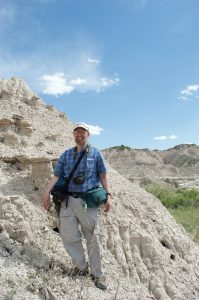 He offers year after year to lead a hike through the Badlands and share with us the discoveries left behind by World War II machine guns and the critters that lived there before. 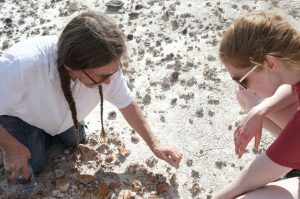 The Badlands were formed by a salt-lake that dried up and left behind fossilized turtle shells and neat patterns of dirt and rocks. It’s a beautiful hike — but an even greater look into why the tribe treasures the land taken from them. My all-time favorite moment of our trip was also the moment I wished I could dive into a pool of ice cubes. 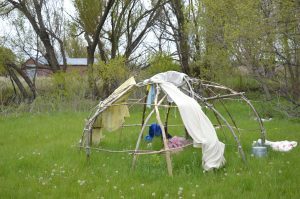 Sweat Lodge is a traditional ceremony that “cleansed” the soul and when the men of the tribe would meet with Wakan Tanka (their deity). Another speaker at Remember, lead us through this ceremony and shared his sacred songs. The heat was intense and all twelve of us sat together under a dome made of animal skins and blankets surrounded by hot rocks that sizzled with the humidity of the air. We were also invited to share a meal with them and we sat in their trailer eating soups out of spare cups and bowls. The way they opened their arms to us was a unique and genuine gesture, and it reminded me of the way the church should also open its arms. These memories have driven my studies back at Hope and will continue to shape my future goals. I love to fix myself in new cultures and learn from stories there. I would encourage students to volunteer and travel in their time at Hope. If not for a semester, then for a May, June, or July Term. 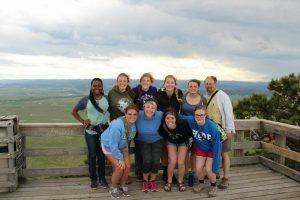 If not for these then go on an immersion trip through Campus Ministries! There are many ways to travel, serve and learn from others and the opportunities are plentiful at Hope. Excellant to learn being among them.The world has so much suffering and pain.The church must take eyes off the luster of the world and have a servants heart and carry the cross with the power of God!